If you are feeling disconnected, lonely, frustrated or hopeless about love then perhaps you are in need of a little love boost. Love boosts are little things you can do to activate the love which exists inside of you. Reciting mantras is one of the ways to do this. You see without this activation love can appear absent, dull, hopeless, temporary and in some cases hurtful. This gives the impression that love is a risk. Here is the thing, love never left you left love. You see doubting love is no different than being uncertain about yourself. Love is present within you and around you every second of the day, even if you cannot feel it. This is because love is a high vibrational frequency of energy. It is energy in motion. The fear, worry or sadness you may be carrying about love is really love which has been suppressed, ignored or resisted in you. I know this may seem crazy, but the fear in you is really an unconscious desire to be connected to love. Mantras are one way to help you rebuild those love connections. Mantras are sounds, syllables, words and phrases which are repeated over a long period of time (e.g. forty days). They elevate the energy within you and around you. When practiced over time, they literally give you a love (energy) boost, lifting your fearful vibrations by moving energy at a higher frequency closer to love. Before reciting a mantra, it is important to keep in mind, mantras are not something you do but rather an energy you connect to. As you develop this practice you will naturally strengthen your connection to love. This puts less pressure on your current and potential partners. Rather than have the relationship be the supplier of the love you yearn for, instead you show up ready to share this vibration. Some of the ways the love vibration gets shared is through listening, forgiveness and patience. To get started, I suggest you select one of the mantras below. Pick the one you are most drawn to. 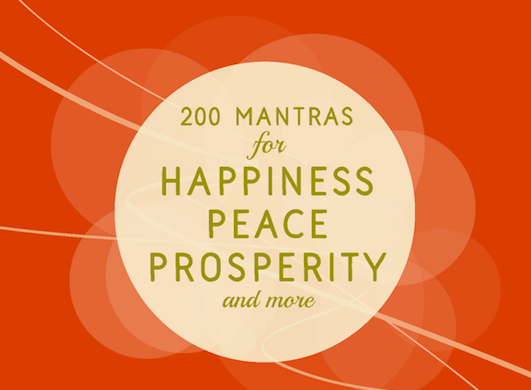 Work with this mantra for forty days, reciting it 10-30 times daily. The mantras must be stated out loud (even if it is a whisper), in a row, preferably in a quiet space. At the end of your practice, pause and receive the energy you are creating (love) by taking a long inhale, and long exhale. Let go of all expectations, reminding yourself this is a tool for boosting the love you already have. Now that I am fully and completely connected to love everything I desire is in motion. I am infinitely connected to love. I am generously receiving love now, thank you. Love pulsates through me now. I am open and ready to receive love. Sherianna Boyle is the author of six books the most recent being Mantras Made Easy, Choosing Love, The Four Gifts of Anxiety and The Conscious Parenting Guide to Childhood Anxiety. She is an adjunct Psychology Professor, seasoned yoga instructor and Quantum Healing practioner. Her resources can be found at www.sheriannaboyle.com.